The annual exhibition, which has showcased work by new and recent fine art graduates since 1949, has announced that 2018 submissions will be open to artists from non-degree awarding art education programmes. 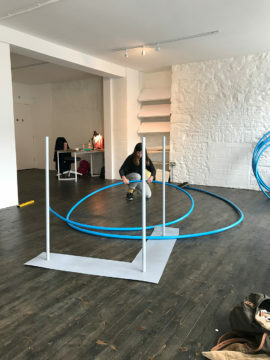 Alongside the launch of its first curated programme, this week Tendency Towards opens its inaugural exhibition – an interdisciplinary showcase of graduate artists from four Scottish art schools. Richard Taylor finds out more about this new artist-run initiative in Scotland’s ‘Granite City’. 40 arts organisations across the UK will host paid placements for graduates from lower income backgrounds through the new Weston Jerwood Creative Bursaries programme. 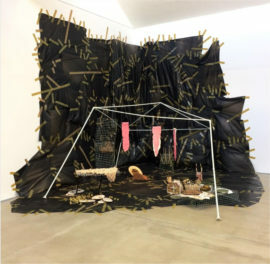 Edward Humphrey, a graduate of The Duncan of Jordanstone College of Art & Design, has won the Fleming-Wyfold Foundation Bursary at the RSA New Contemporaries in Edinburgh.